Cefalù is another Sicilian beach town like Taormina that we imagine would be very popular and very busy in the summer, however on a crisp and somewhat windswept day in early January it was largely deserted. Most of the restaurants and cafes were closed, with only the odd souvenir shop spilling out into the pretty cobbled streets. 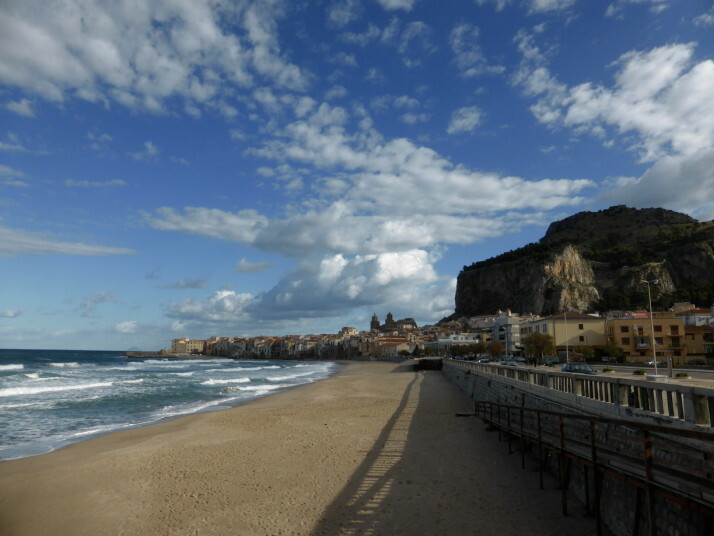 Cefalù has the nicest beach we’ve visited so far in Sicily, it’s long and sandy, and just like Taormina, there are plenty of other reasons to visit if beaches aren’t your thing, or, as it was for us in January, not quite beach weather. 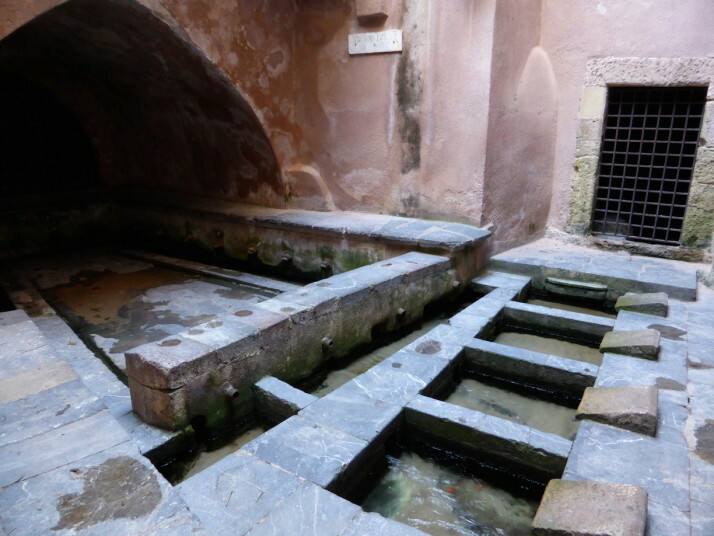 While looking for possible things to see or do in Cefalù, I found the curiously named Lavatoio Medievale – and thinking that Lavatoio sounded like lavatory my first thought was this was a medieval bathroom, and I was close.. turns out the translation actually means wash house! A very practical last use of the little Cefalino river that runs through Cefalù before it reaches the sea – a medieval wash-house! Built by the then King of Sicily, Roger II in 1131 as an act of gratitude for surviving a bad storm and landing on the town’s beach, the Cefalù Cathedral pokes its head and shoulders above the rest of the town, still holding a commanding position despite itself being towered over by the almighty backdrop of the giant La Rocca behind it. 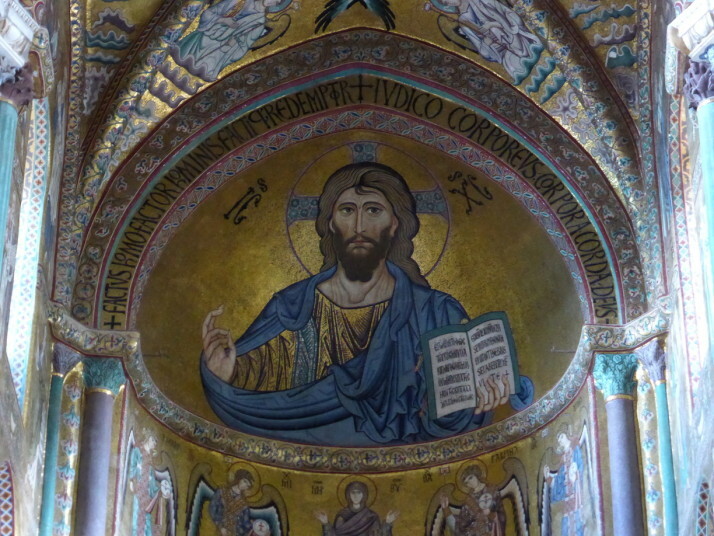 We knew we were going to like the Cefalù Cathedral before we saw it, and we were looking forward to seeing the mosaic of Christ Pantocrator in the apse, but for all we knew what we were expecting to find, the scale and magnificence still surprised us. 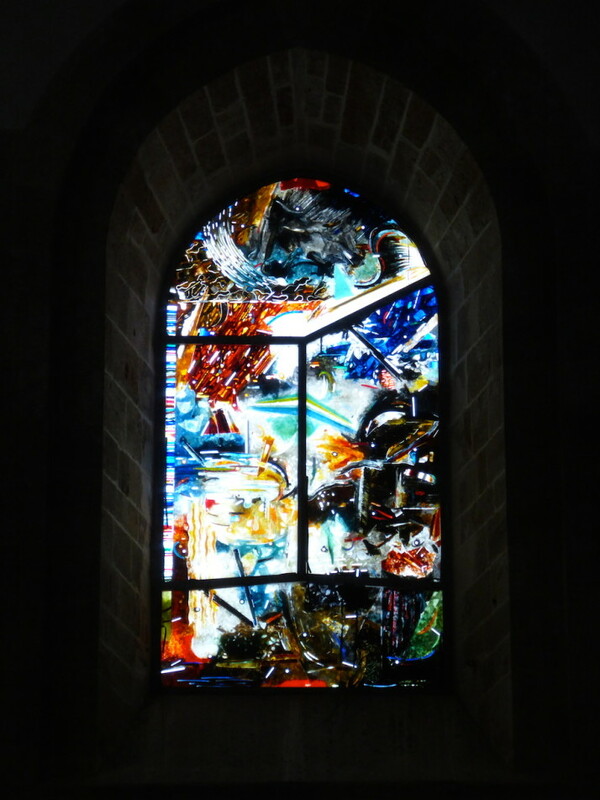 One thing we noticed about the Cathedral that we haven’t seen in any other was that the stained glass didn’t have the usual depictions of the life of Christ, but were instead a series of abstract colours and shapes reminiscent of a smudged Frank Lloyd Wright. If it were possible to smudge a stained glass window! 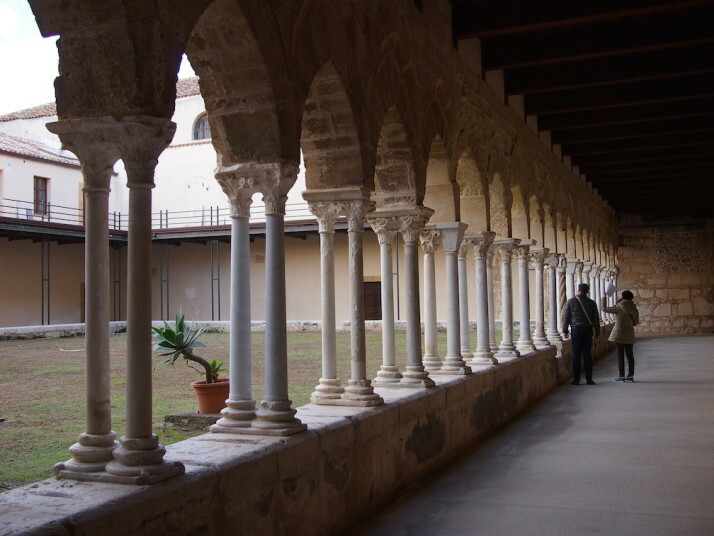 Next we went to the adjoining cloister which is a sort of museum – a small entry fee bought us a ticket and a translated map. We felt the guy on the desk was a little disappointed that we asked for the English version given that he had pretty much every language. In Bangladesh we were often mistaken for Japanese (yes, you read that correctly), so we wondered what nationality we looked like. 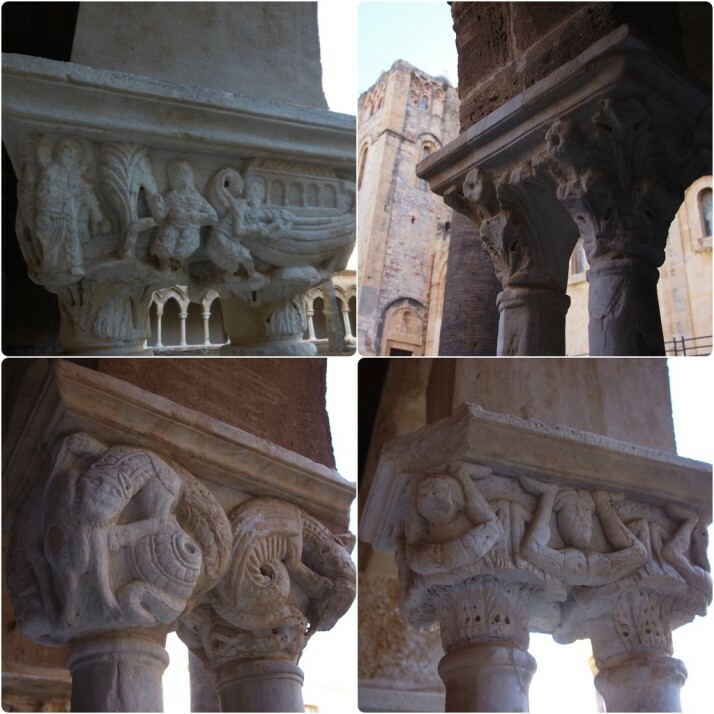 The map guided us around the outer path of the cloister, highlighting the capitals of the supporting pilars which have been carved into various forms, including a section of bible stories. 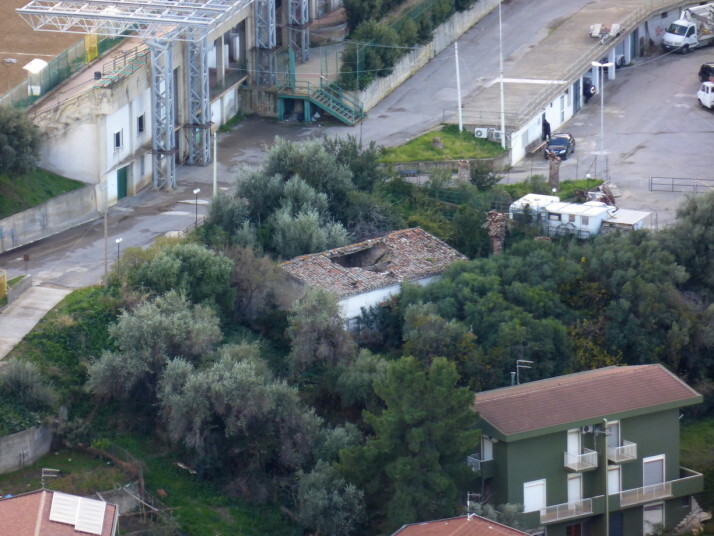 Some have been lost to erosion or collapse, and most were of acanthus plants. 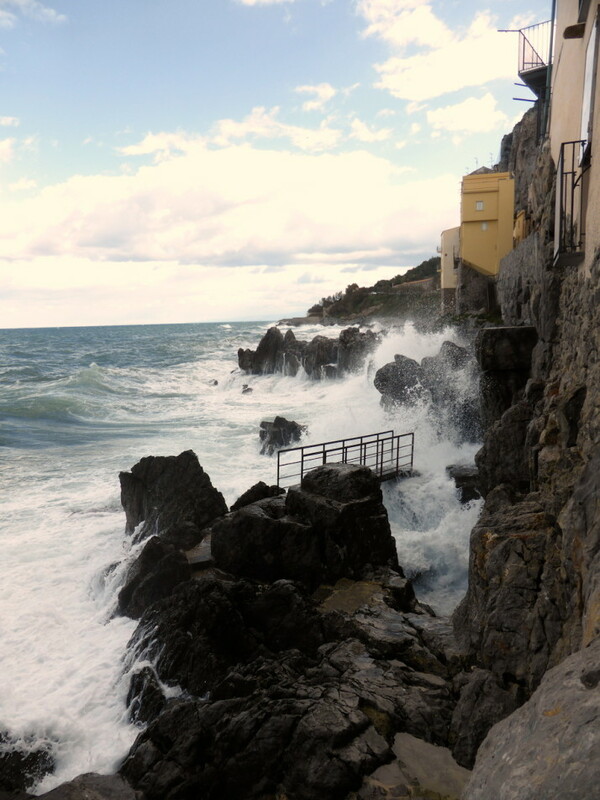 It’s possible to walk along the outside of the old megalithic fortress walls, at least, it would be when the sea isn’t trying to smash you against them.. we decided to walk back through the town..
Nope, that last picture isn’t the beach but a walkway outside the megalithic walls that used to protect the town. We decided to go the other way as the sea was testing the defences! 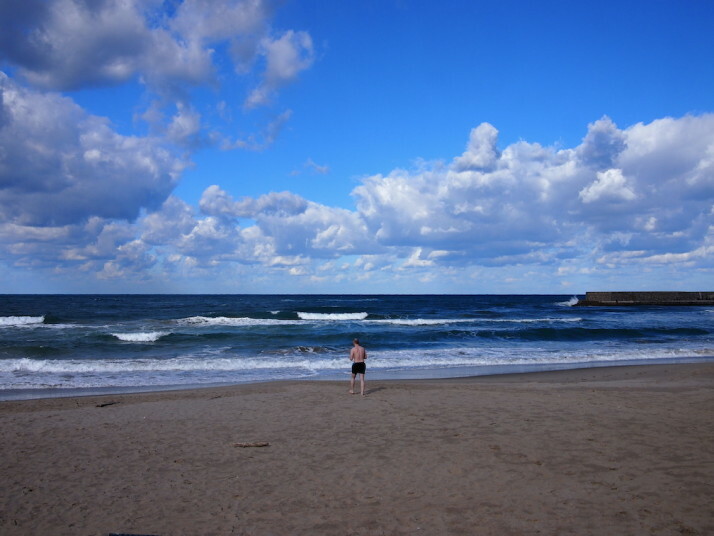 Once we got to the beach, and even though it was the 5th of January and everyone was walking around in big coats, scarves and gloves, I’d brought my swimming shorts for a quick New Years dip.. It wasn’t as cold as I remember Lake Baikal being, but I still couldn’t feel my hands or feet after I’d dried off! 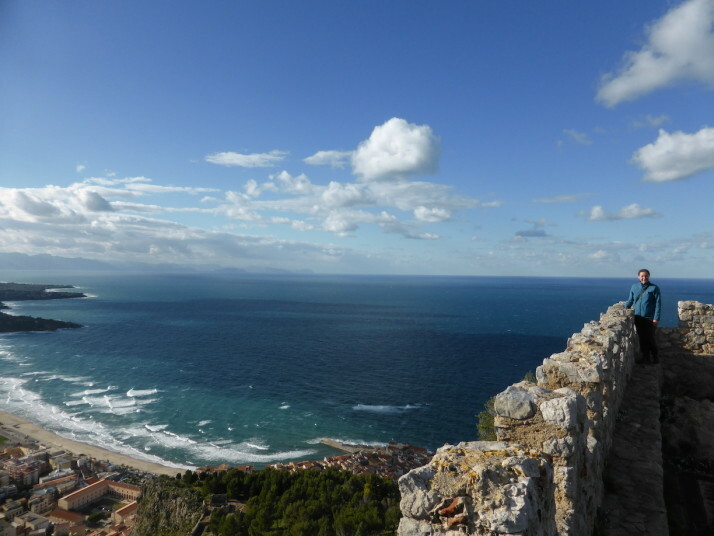 I made sure to get all of the sand from between my toes as the next thing on our itinerary was to climb the 270 metres to the top of La Rocca – the giant calcareous crag backdrop to Cefalù. 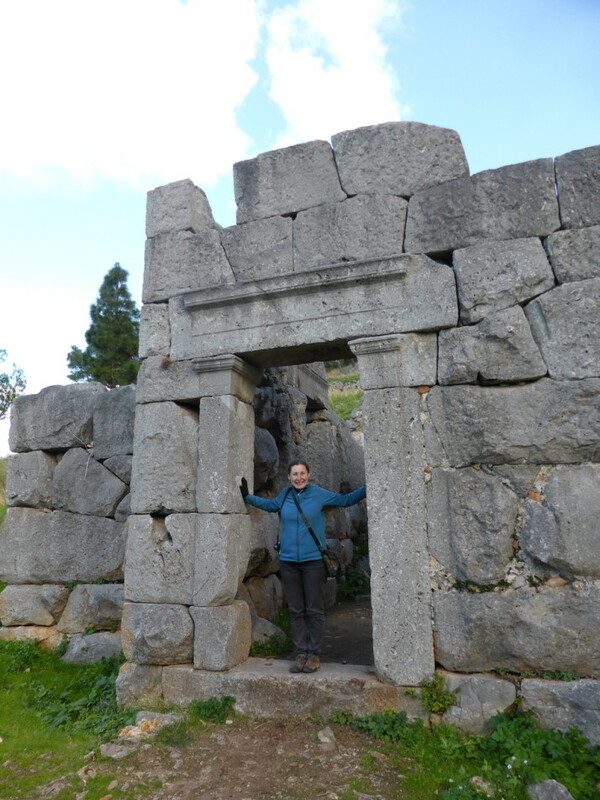 Once a mighty fortress, hence its name, the ancient Greek inhabitants saw it as a gigantic head, and “head” is in fact the meaning of the town’s name. 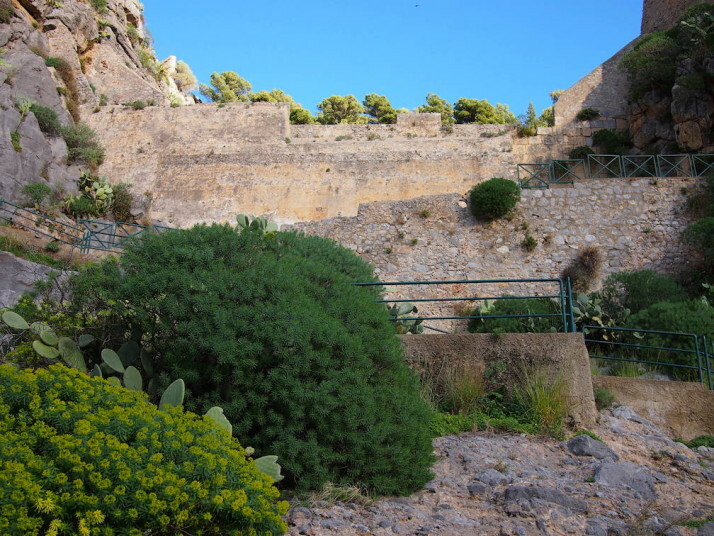 Easy steps to the top of La Rocca, just a lot of them! The hike wasn’t difficult as the way is clearly marked and before we knew it we were looking down on all the sights we’d just visited – when the clouds rolled past the view from the top was beautiful. 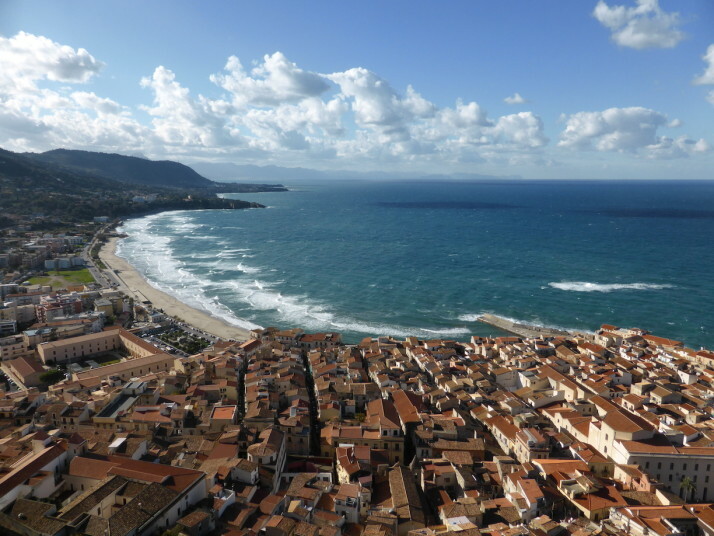 The view back over the town of Cefalù from the top of La Rocca was easily worth the climb – we were just down there! 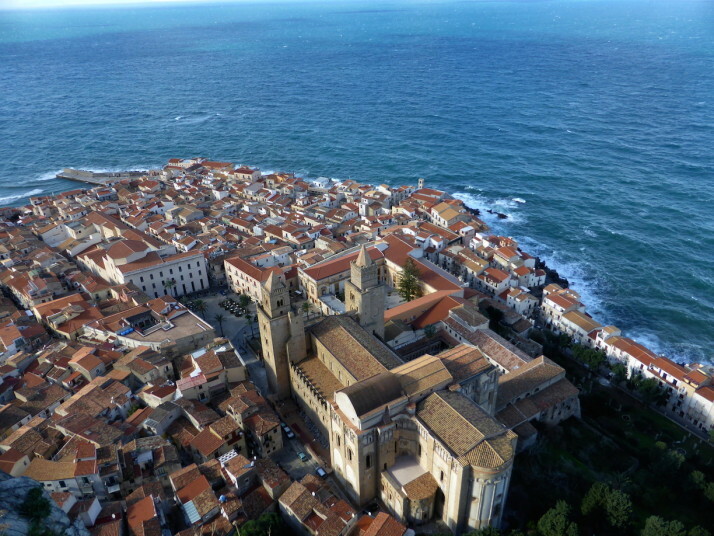 Cefalù castle dates back to the 13th-14th centuries, and consisted of two towers and twelve rooms. There’s not much left of it save for the floorplan evident from the bottom half of the walls that are about hip-deep in places, and a section of the outer ramparts. 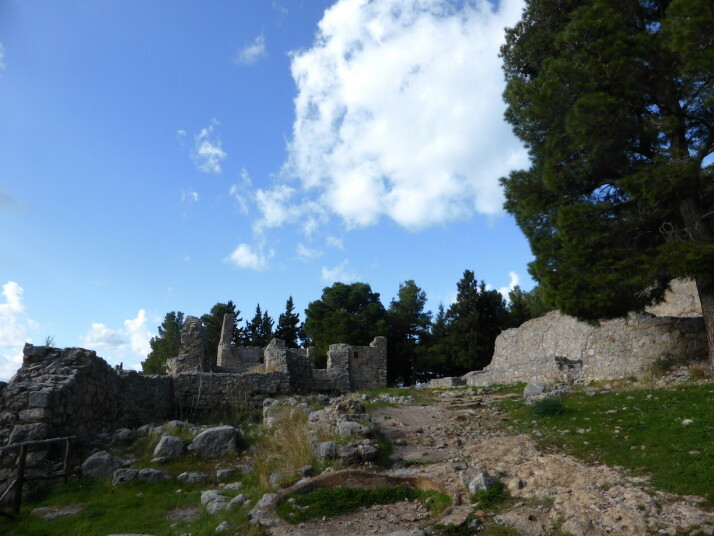 Also visible from the fortress are the remains of the Abbey of Thelema, a small house which was used as a temple and spiritual centre founded by Aleister Crowley and Leah Hirsig in 1920. I must admit that I didn’t know anything about it before we started researching Cefalù, but Aleister Crowley was ranked 73rd in a 2002 BBC poll of the greatest Britons of all time, having been denounced in the popular press of his day as “the wickedest man in the world” and erroneously labelled a Satanist. 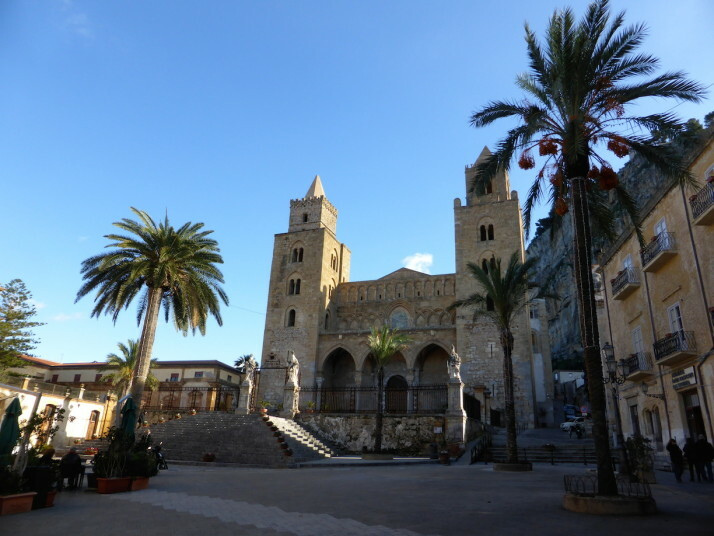 Cefalù is a perfectly sized day-trip from Palermo, and we loved the variety of sights and activities. 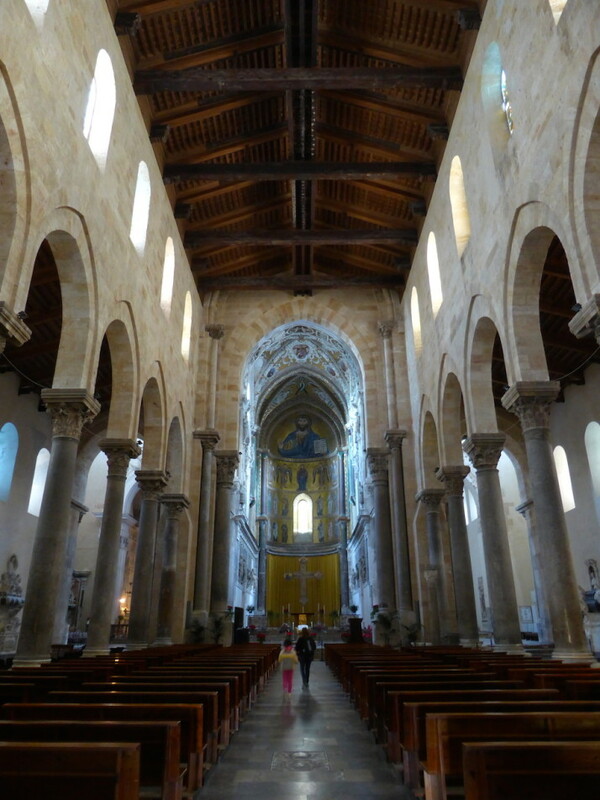 This entry was posted in Experiences, Places and tagged Cefalù, Church, Italy, Sicily on January 11, 2015 by Andrew.